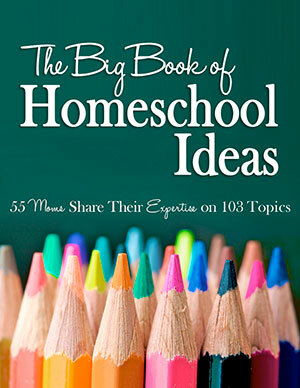 During the iHomeschoolNetwork’s 10 * in * 10 series in 2012, we were asked to write about “10 reasons you chose your homeschooling method,” which in our case is unschooling or very relaxed homeschooling. Our “method” kind of came about through the process of elimination. So today, I’m going to walk through some of the considerations we made as we came to a decision about homeschooling in general – and how that translated into our specific choice to be life learners/unschoolers/relaxed homeschoolers/whatever your favorite term is! While this was originally written in 2012, I decided to come back to it here in 2017 and can attest , 5 years later, that ALL of this is still just as true today as it ever was! 1. We needed something less stressful for Sarah than public middle school. That stress took a lot of forms, but basically, the poor kid was literally getting sick thinking about some of the facets of her day. Everything from changing classrooms to dealing with a locker to changing clothes for gym class to getting up earlier to remembering what books go to which class to walking through noisy, crowded hallways put Sarah in a panic. 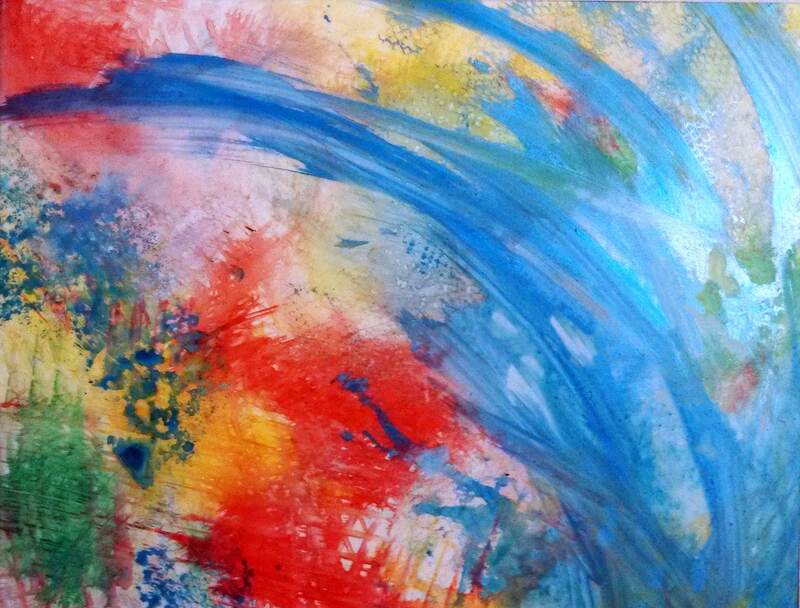 Between her Asperger’s and her sensory processing trouble, she was a walking ball of anxiety. The thing is, if you notice? None of those things had to do with learning. That’s what led us down a path toward homeschooling in general – because we truly believed Sarah’s ability to learn should not be dependent on her ability to adjust to different clothing three times in an hour. 2. We needed something that could be done in a shorter amount of time. Sarah got up for middle school at about 6 a.m., got dressed, ate breakfast, rode the bus, went through the school day and returned around 3 p.m. We would routinely spend until supper doing homework or projects, eat, finish up any homework, then get her into bed around 9 p.m., where we’d do a half-hour of reading aloud to get her caught up on any book assignments. She was awake for 15 hours, and “doing school stuff” for about 12 of them. (Though she was probably only engaged in learning during about 2.5 to 3 of them.) That wasn’t going to fly. Even when we looked at options like cyberschooling or some of the nice packaged curricula out there, we quickly realized the time commitment for many was more than we wanted – or needed. In our current style, we sometimes “learn” from the time we get up til we go to bed. (Heck, I think we’re ALWAYS learning.) But some days, we veg out for 8 hours and then go for a walk, and we needed a setup in which none of us is going to feel guilty or “behind” if that’s what we need that day. 3. We needed something that allowed us to be outdoors. There’s a lot about the Charlotte Mason educational method that intrigues me, and not the least of those factors is its emphasis on nature study – and just on being in nature. Sarah does better when she can get outside regularly – even if it’s just for a few moments. While we could absolutely “do school” in a pretty traditional sense outside, that makes it hard to take advantage of a lot of spontaneity – which is one of the best things about nature. If we see a slug, I want to be able to talk about it then – and for the rest of the day, if we want to – not after math workbooks are finished, or in two weeks when we “get to” slugs. 4. We needed something focused around Sarah’s interests. Oh, that whole “delight-directed” learning thing? Try having a kid with Asperger’s and its accompanying passions – or perseverations – or obsessions – and see if it’s even possible to have it any other way! You can certainly try. But any efforts to get more than an “I’m phoning this in” type of response from Sarah on any topic that isn’t this month’s obsession are pretty futile, and, honestly, you’re likely to send her into a daylong sulk if you push too hard at it. That said – we’ve learned a lot using these topics. We’ve read tons of literature from all sorts of genres. We’ve written – done creative projects – created timelines – and even done some math, all based on these themes. And because they change – and honestly, because they can be influenced by putting certain books and movies in Sarah’s path – over time, we’re still hitting not only the required basics, but much, much more. 5. We needed something that we could easily change if needed. Because we pulled Sarah out of public school in the middle of the year, and because we were leaving such a stressful situation, we knew that we might not hit our running speed for the rest of that year – and maybe into the next. So jumping on board with a packaged curriculum, a formal style or a cyberschool program, all of which we looked at (and liked facets of), seemed more of a stretch. Then, if we “changed,” it’d be another drastic change – and Sarah’s not great with changes at all! 6. We needed something economical. In order to make homeschooling a possibility, I moved from full-time hours to part-time at the newspaper where I’d worked for 13 years, and picked up a major, steady freelance job. Even though the new setup was GREAT – I enjoyed what I did, and I worked 99% from home – we did take an income cut. And we weren’t exactly rolling in dough to start with! So something that cost $500 at the outset – especially knowing we weren’t sure how we wanted to continue on – was out of the question! That got us started thinking about what we already have. And one thing our family has in mass quantities? Books. Lots of books. So why buy new ones – why not try to save some money and use what we have? 7. We needed to be able to focus on interesting, “real” books. Sarah is really a paradox. She can – when she wants to – read and comprehend adult nonfiction tomes hundreds of pages long. She also tested at about a third-grade comprehension level on sixth-grade fiction passages – regularly. 8. We needed something heavy in conversation and short on writing. But she can’t “do” the thinking and either the writing by hand or the typing at the same time. She gets hopelessly confused and she ends up (literally) writing the same sentence three times. We work on that, but at the same time, I needed a system in which Sarah wasn’t being assessed primarily on written answers! She’s doing a lot of writing – mostly for fun – but we have a lot of conversations that help us know that she’s learning, and these will often show a much higher level of mastery than her writing would on the same subject. 9. We needed something that wasn’t focused on grades – or grade levels. This ties very closely to the point above. Sarah’s grades in public school were almost never a reflection of what she did or didn’t understand. She had great grades in subjects she had absolutely no comprehension of – and barely-passing grades in subjects she knew a lot about! And, as Sarah mentioned herself, this was stressing her out. Grades were a constant worry – and if that was because they accurately reflected what she did or didn’t know, I wouldn’t have minded. But every test, quiz or essay Sarah had became a double stress, because we couldn’t even begin to predict what her “grade” might be. Multiple-choice quizzes were probably the worst. Sarah could read the question and tell you – in her own words – what the answer might be. But she couldn’t write that out, and she couldn’t perform the executive-functioning task of taking her own thoughts and choosing one of the four choices that most closely matched them. So on a quiz where she “knew” 9 of 10 answers, she might get 1 of 10 correct. On the other hand, through some random series of rote calculations, she could get a great score on a math test – and truly not even know that it was a test “about” multiplication. We wanted to a setup that didn’t focus on these things – so we’ve chosen not to “grade” any of Sarah’s work, which is 100% OK under Pennsylvania law. She just has to show progress through the year, as documented by our portfolio, and she had to have one final set of standardized tests (which she took in eighth grade). Meanwhile, speaking of that, we don’t really operate on just one “grade level.” Sarah’s probably at an early-college level in some subjects, a high-school level in others, and a middle-school level on yet others. So we needed to steer clear – for both economical and mindset issues – from something that would have us operating at just one of those levels. I do say “our,” because while a lot of this deals with Sarah’s attitudes, my own and Chris’s were starting to get colored by her public-school experiences, too. That’s not learning – and it’s certainly not any way to live. It’s a slow process, this change. Sarah still actively gets upset when you describe something as “educational” or “school.” She will tell you adamantly that she hates learning – and yet her actions show me that she loves to learn and explore – when she forgets to be scared. And that’s what it is. She’s scared to learn, scared of being “wrong,” scared of failure. And I’m scared too – scared that she WILL become someone who doesn’t want to learn, scared that she’s depriving herself of things she enjoys in the name of a fear that’s been building inside her for half her life. 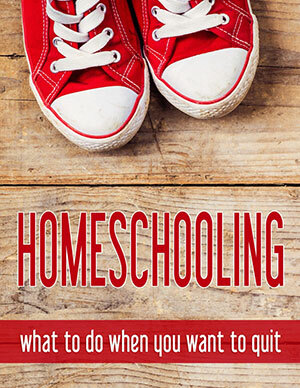 “Unschooling wisdom” will tell you that you need to deschool – or, basically, to work to change your public-school thought patterns and habits – for a full month for each year your child has been in public school. Under that guidance, we spent most of our first year breaking down the old paradigm, and only then started on the hard work of building the new one. It takes a long time – but the end result? It’s fabulous. It is a child who recaptures what she once had, a delight in making connections and trying new things. Our homeschooling method kind of “chose us” by default as we walked through the criteria above. It was a great case of Occam’s Razor – the simplest way to meet all those needs without causing other issues was to walk an unschoolish path. The great thing is, though, that much like the cat that “chooses you” at the SPCA, we’ve fallen in love with it. What once looked like a ragged collection of experiences is turning into a rich life together. And that won’t end when Sarah reaches the end of her compulsory school years by state law – we plan to stick with it as long as our family is living (and learning) together! 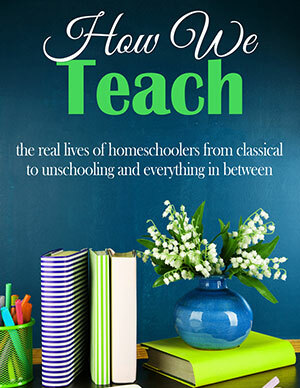 Don’t forget to check out my previous posts in this series if you missed them, on our 10 unschooling and homeschooling must-haves and 10 of Sarah’s “likes” about homeschooling. The previous post was Unschooling: Our January and February 2017 adventures. The next post is Unschooling: Our March and April 2017 adventures. Oh, I remember the sick-to-the-stomach feeling every time the phone rang! That alone was worth pulling my oldest out of school for. And the anxiety he displayed (chewing his shirt sleeves to shreds), and the inability to filter through noise and then getting in trouble for it, and the constant changes of clothing and classrooms……You really hit on the main points on this one, although we were dealing with different learning challenges. Eddie, I am SO glad I’m not alone!! I don’t know that any challenge is all that different – the problem is simply that all these things that have nothing to do with real learning were keeping Sarah from learning anything at all, it seemed!! Thanks for stopping by – I cannot even tell you how much I appreciate hearing from someone else who’s been there! Susan, we are SO much alike, I think! 🙂 I’m so glad we have that choice too! As I’ve read books about the history of homeschooling in the United States (and even thinking back to my own experiences being homeschooled in the early 1990s) I am so glad of how far the laws have come to make this a viable option. There’s still a lot of room for progress – but at least we DO have the choice! I too can relate. We chose homeschooling because Lilah, at age 7, had a difficult time navigating through her day. She felt that it was too much time away from home, too much time waiting, too much time around difficult people, too much noise, too much stress…just too much! I remember so much of what I felt them, in your words. I know great things are in store for you this year. You are so far ahead of where I was in my “deschooling”. 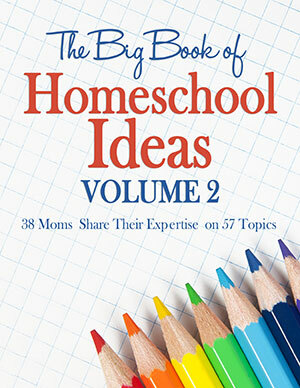 We both have 7th grade girls so it will be great for me to read about your journey through homeschooling middle school! I feel for how you described Lilah back when you started. As I look at the school day through a child’s eyes, especially one who can get overwhelmed easily, I think – what a mess, you know? There’s exactly what Lilah said – too MUCH! Sarah, my heart goes out to you guys! I can very much relate to the idea of thinking I’m doing the best thing and then just being heartbroken at the unexpected problems, with Sarah’s education! I know whatever decision you make might not be the easiest, but I’ll be thinking of you! I like to think of myself as a Mason based teacher, but in reality we are more and more becoming Unschoolers. My younger two just seem to need that type of schooling whereas my older two thrived on a Mason-based schooling. The style, in my opinion, needs to depend on what the student needs as you so brilliantly pointed out! That is so,so true! And I know from seeing your descriptions on your blog how much it works well when you guys can dig into those particular topics that are interesting your family. It’s so different than “Well, this is what we’re learning about, take it or leave it!” and it is just amazing when it can be done!